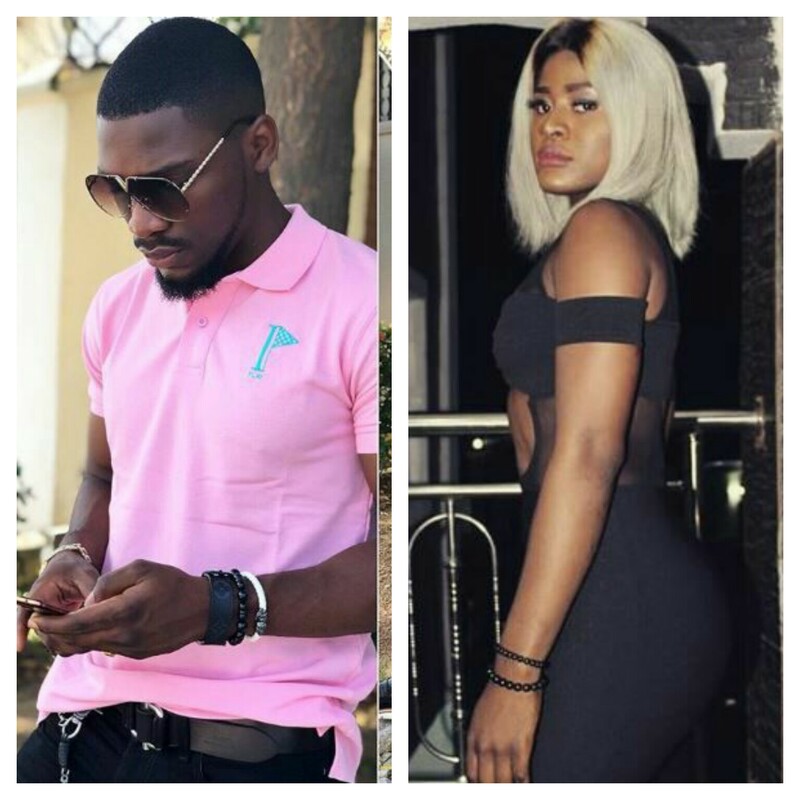 It seems some fans of the former Big Brother Naija housemate Alex are no longer pleased with the love she always shows to her fellow ex-housemate, Tobi. A follower of the ex-housemate recently admonished her for always liking and commenting on the photos of Tobi. 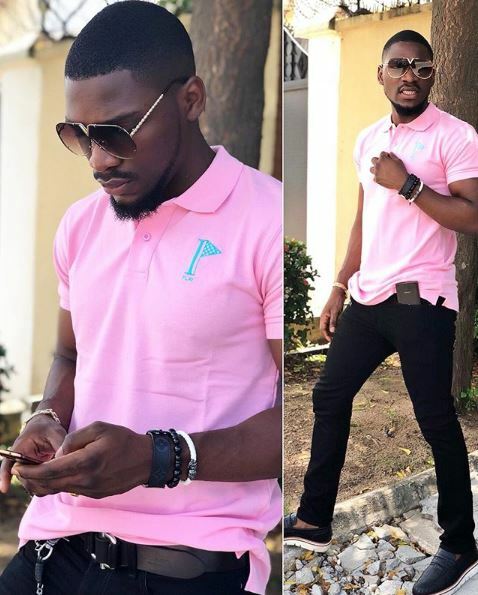 Tobi Bakre earlier posted a cute picture of him on his Instagram page, looking all hot in his pink t-shirt and black jean trouser. Playful Alex who so much adore her friendship with the cute photographer commented as usual on his post, asking him why he is so cute. 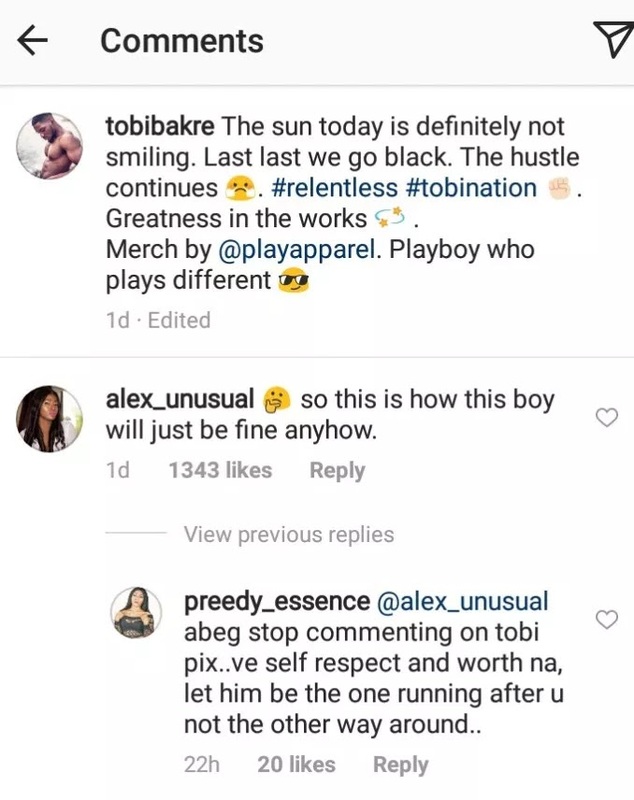 A follower identified as @preddy_essence not happy with the lovey-dovey both ex-housemates play online, slammed Alex in the comment section. She chastised her, asking the dark-skinned beauty to stop chasing after Tobi.